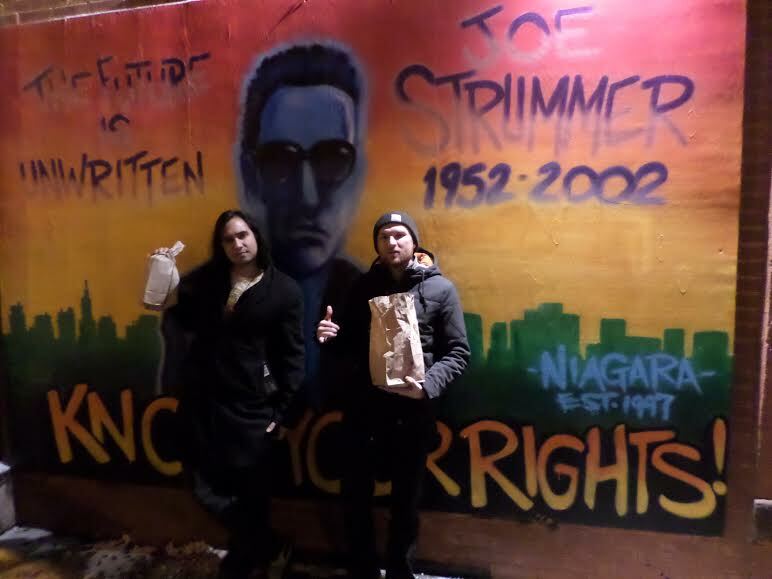 In front of the old Joe Strummer mural on East 7th. Too old for 40s- we’re baggin’ cheese fries and fried oreos. Janos.nyc kicks off a new series in which Janos and Brooklyn-based musician Mike Corbett and I explore some of New York’s old venues. Last night we visited Hi-Fi Bar, now home to an epic jukebox in the space that once held classic indie dive Brownie’s. I called Mike to do a quick recap. 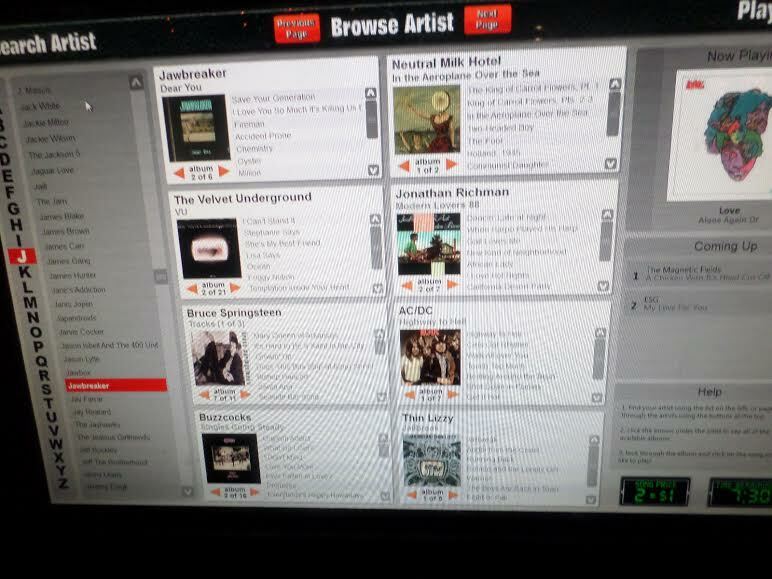 This being a jukebox bar, we decided to put together some excellent playlists, which dominated the bar from about 7pm to 9pm. Not the easiest juke to work, but it has a lot of choices. Love Hungry Man (AC/DC) ; I Know a Little (Lynyrd Skynyrd ); Corduroy (Pearl Jam) ; Girlfriend (Matthew Sweet) ; Rock Music (Pixies) ; Boys Are Back in Town (Thin Lizzy ); Ever Fallen in Love (Buzzcocks); Thunder Crack (Bruce Springsteen); Monkey Man (Rolling Stones); Power Man (Kinks); Hold on I’m Coming (Sam & Dave) ; All the Time (Strokes). 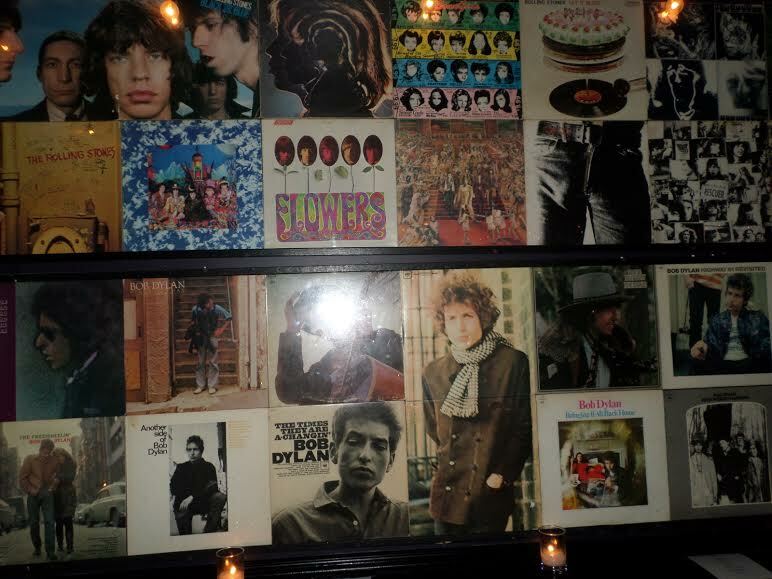 Mike, owner of Hi Fi and former Brownie’s owner, is a big Bob Dylan fan. Pressure Drop (Clash- actually “The Prisoner”) ; Radiation Vibe (Fountains of Wayne) ; Tide is High (Paragons) ; Cities (Talking Heads); Road Runner (Modern Lovers) ; Holland 1945 (Neutral Milk Hotel) ; I Can’t Stand It (Velvet Underground) ; Save Your Generation (Jawbreaker).